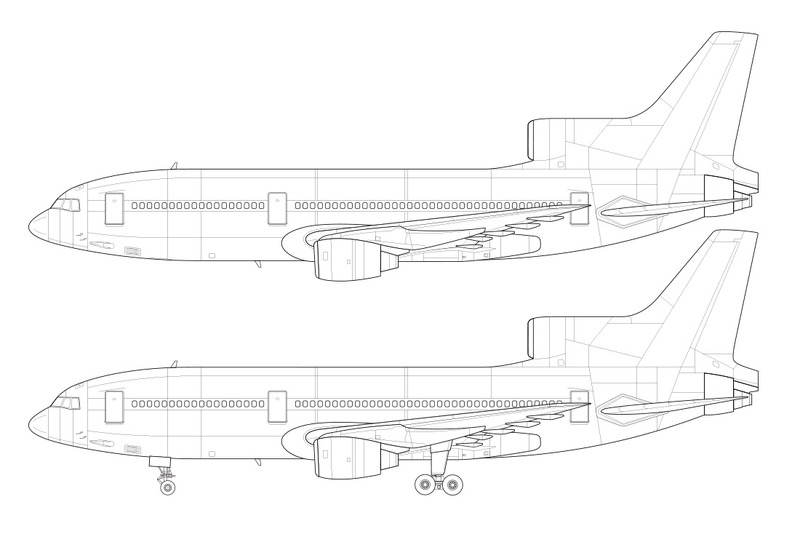 As promised, here is the shorter and stubbier -500 variant of the L-1011-1 TriStar template that I uploaded yesterday. 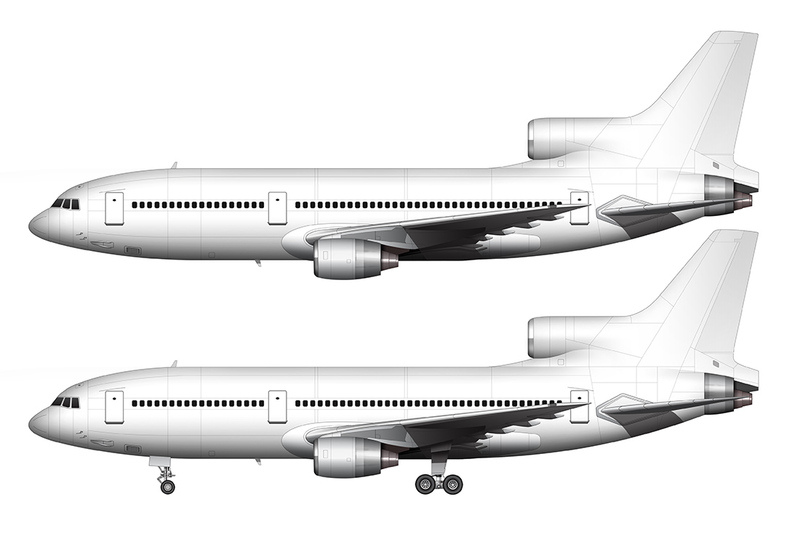 It’s basically the same airplane, minus a huge chunk of fuselage and a different wing connection (plus a handful of other minor little details), so building it right alongside my L-1011-1 template was a piece of cake. Plus, my short attention span necessitates the need to create an entire series of airplanes at once rather than coming back to finish the others later – otherwise, they’ll never get done! I batch-produced my entire 767 collection like that, and I’m glad I spent the time to do them all in one shot because there are far too many other illustration projects I’d rather be working on right now. In addition to it’s shorter length, the modified wing connection is another component which makes this version seem so much different than the original. It looks as if the Lockheed engineers had to chop (round) off the front and rear sections to fit the shortened fuselage, so all of those beautiful sculpted forms from the longer version are not present here. Bummer – because that was my favorite part. 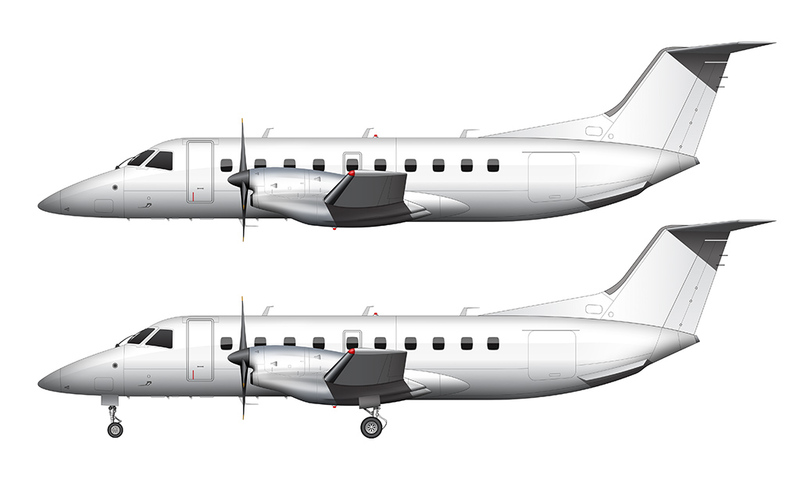 So now I’ve got templates of two of the most popular variants of this aircraft created. Well, the -1 series is visually the same as the -100, so make that three. I’m not going to create other variants of this airplane right now, as that short attention span of mine is pulling me towards a long list of others that I want to create instead. Next up: the Bombardier CRJ-200 and -700.